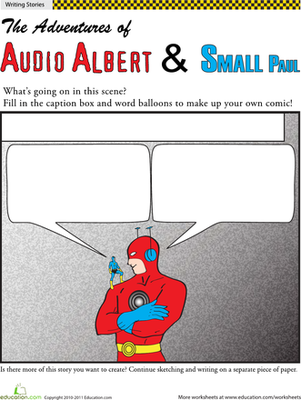 Make your own superhero comic in this writing worksheet. This creative writing exercise packs a one-two punch -- kids can get their creative juices flowing and better understand story structure at the same time! 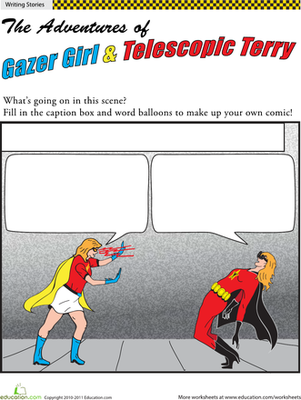 Check out the rest of our superhero comics: Gazer Girl and Telescopic Terry, Mt. Crushmore vs. The Human Shield, and the adventures of Racin' Jason and Seymore Stretchpants. 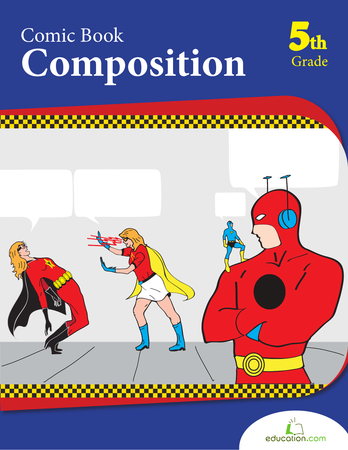 Get your fifth grader to polish his writing chops with this write-it-yourself comic. 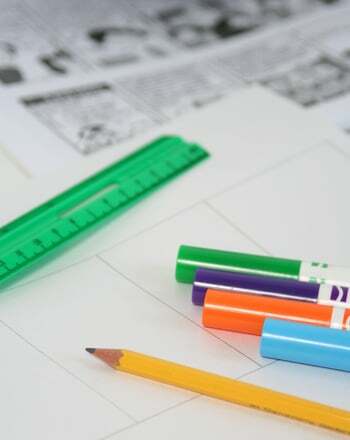 Can your child finish the comic strip? 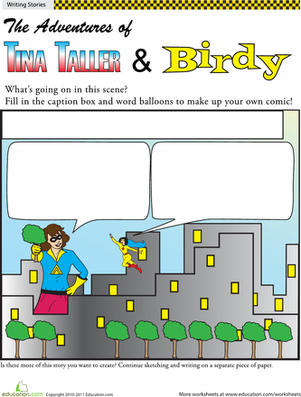 Your child will use writing and drawing skills to finish this fun and furry comic strip.